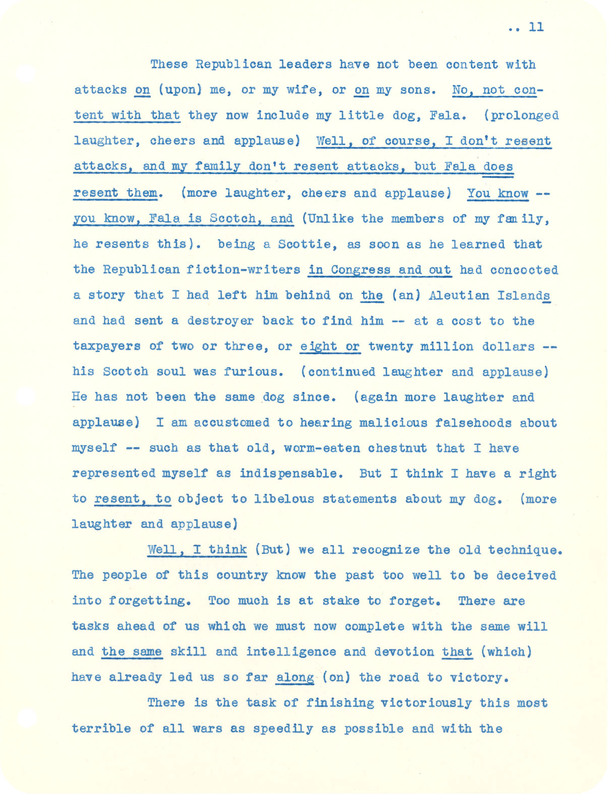 September 23, 1944: FDR gives a campaign speech to the Teamsters Union denouncing Republican attacks that he had sent a U.S. Navy destroyer to retrieve his dog Fala after leaving him behind on the Aleutian Islands. Franklin D. Roosevelt's speech to the Teamsters Union. Franklin D. Roosevelt in the Quonset hut mess hall in the Aleutian Islands, Alaska. FDR Library Photo Collection. NPx. 48-22:3868(497). Franklin D. Roosevelt fishing at Kodiak Island, Alaska. FDR Library Photo Collection. NPx. 48-22:3868(498).